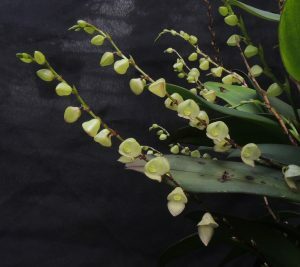 We have featured lots of Stelis species on 365 days and it is one of our favourite genera. Many species produce a magnificent display of lots of flowers. We first became aware of the genus in Brazil where we saw lots in flower and we saw more species in our visits to Costa Rica. 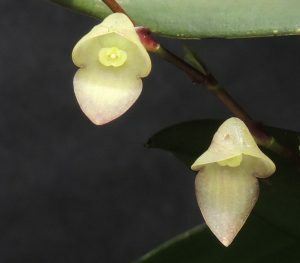 Stelis reginae is one of the larger flowered Stelis and is endemic to Ecuador where it is found in wet cloud forest at 1800m. We therefore grow the species cool and wet all year. It has flowers with a very attractive pink edging against the cream ground colour and our large specimen flowers for many months over the summer and autumn. 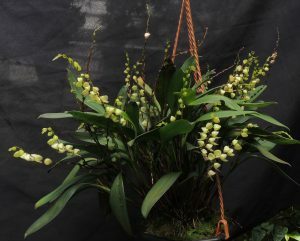 We find that growing specimen plants of Stelis or Pleurothallis is easier in baskets than pots as the compost says in good condition for longer and the plants can form a natural ball rather than growing out of their pot. Look out for more stelis species over the next few days as we have several looking at their best this week.